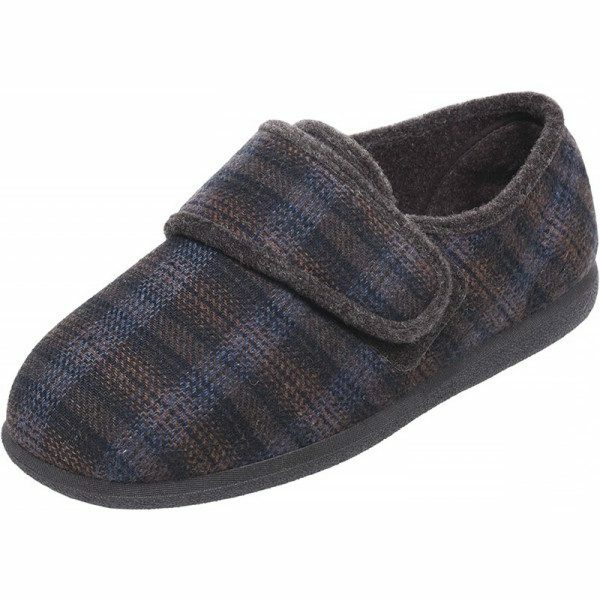 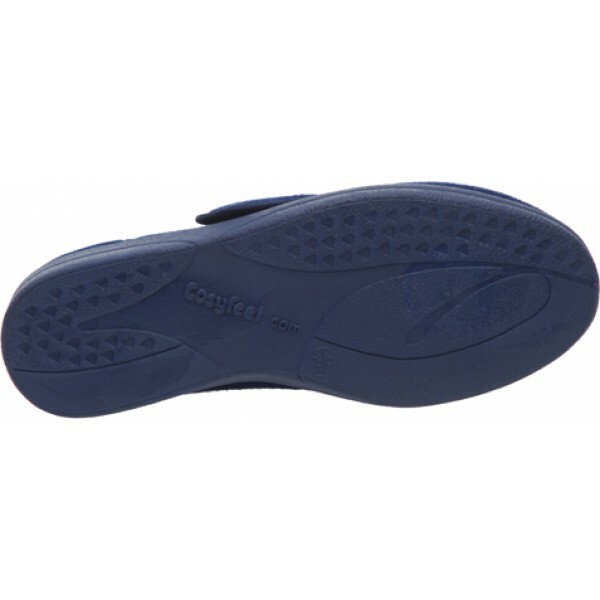 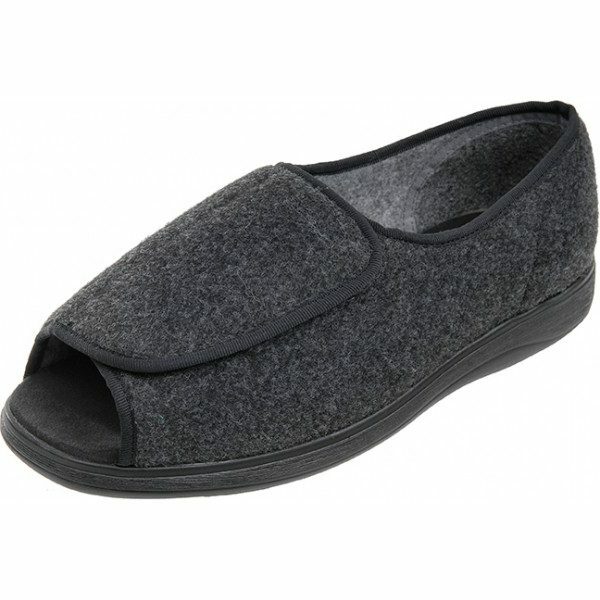 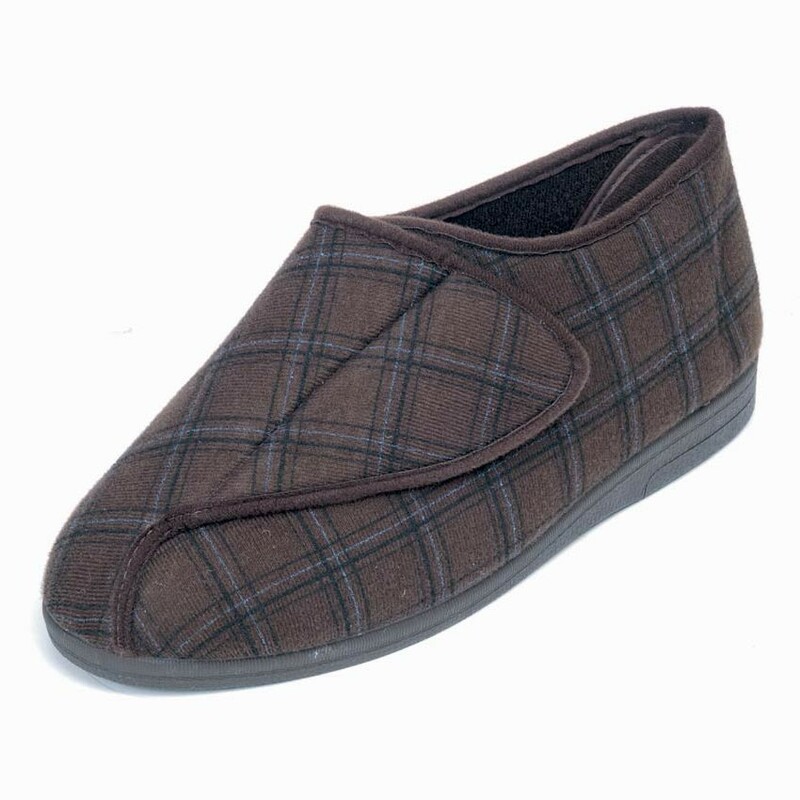 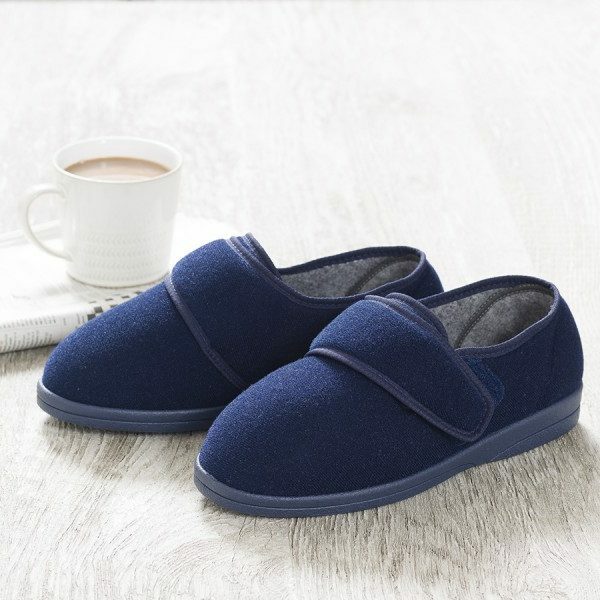 The Cosyfeet Ritchie Roomy Men’s Slipper is a extra roomy slipper that is wide and deep with easy entry. 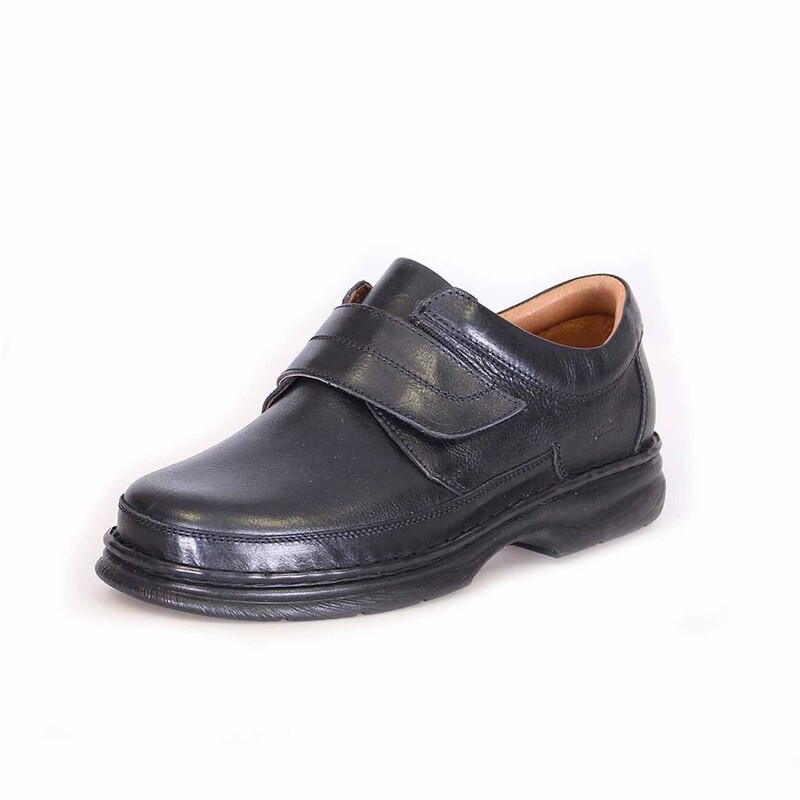 It is accomodating and adjustable which is perfect for those with very swollen feet, bunions and hammer toes. 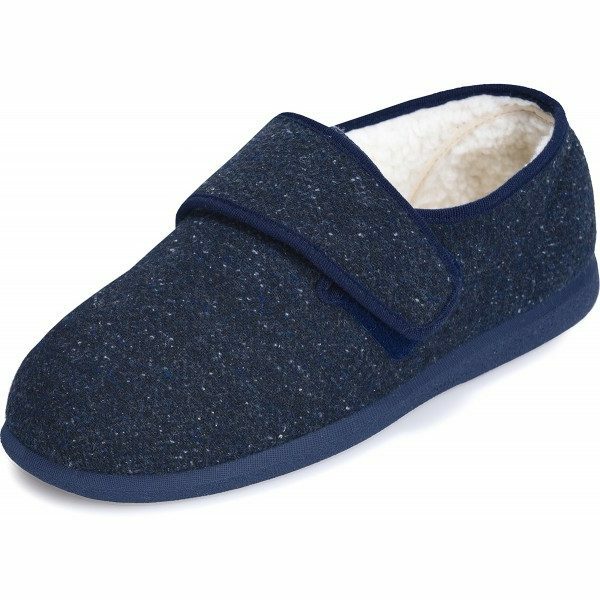 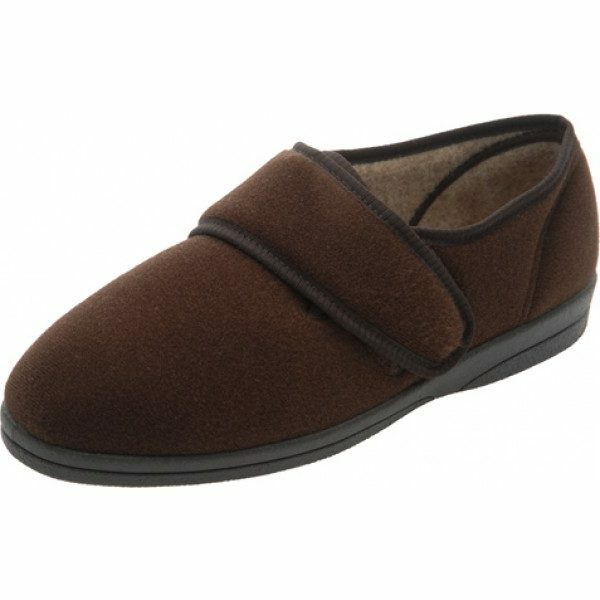 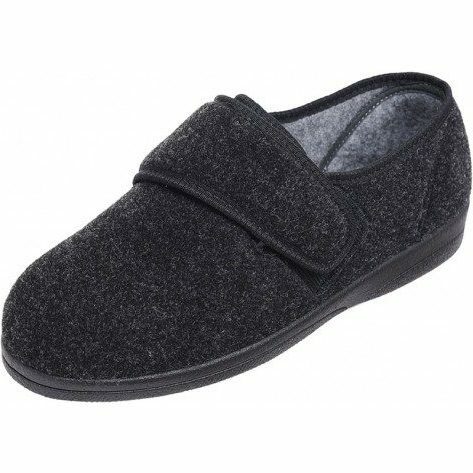 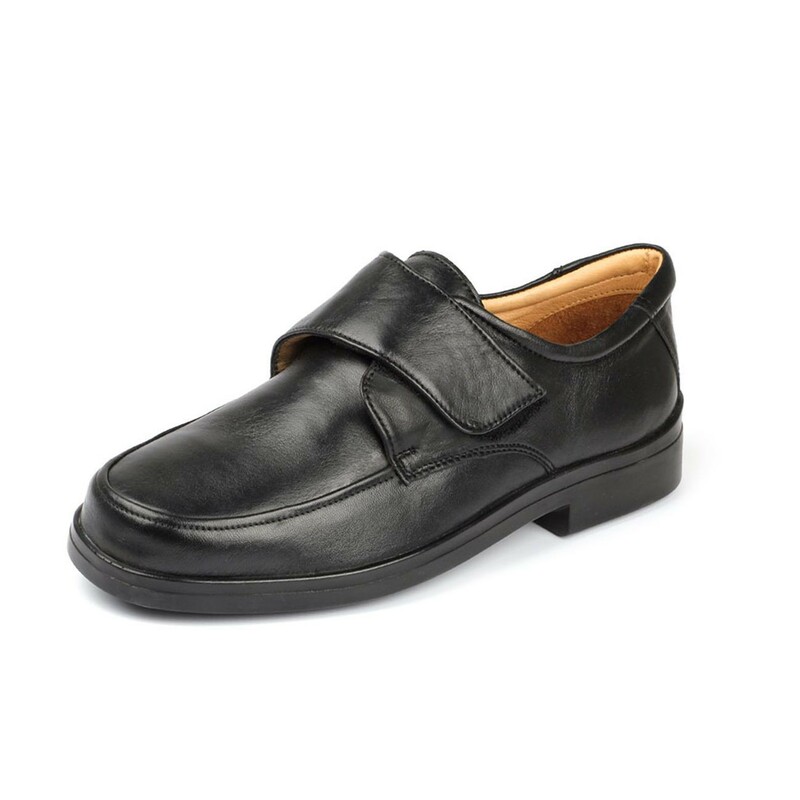 Having a velcro fastening for an adjustable fit, the Cosyfeet Richard slipper is available in two colours and a variety of sizes.